Facebook marketing can be a challenge. Facebook makes changes, and we all have to adjust. The same thing is true with other social media; it does, however, seem that Facebook is in the lead of making huge changes that can really upset their users. It is important to keep in mind that, at the end of the day, Facebook marketing and any social media marketing is about relationships. I recently had a business owner who created a group for her business. She added me to her group and then proceeded to start posting a lot of status updates. Those updates came to my email and also to my Facebook notifications until I turned them off (which I did in short order). Needless to say, this was not a great way to start a relationship. As with any relationship, you can’t rush things. You have to be sensitive and polite. In other words, you have to be human and you have to do it right. If the business owner that added me to her group had instead asked me to like her page, I more than likely would have done that and we could have had a much better start to a relationship. I think this relationship building aspect of social media is one of the biggest frustrations of business owners. It really does take time and effort to build relationships that can pay off in sales for your business. It is tempting for business owners to push and rush when they see so many people who fit their target market on a social media platform like Facebook. It seems like there ought to be some way to just reach out and grab them, right? Well, maybe not. Today’s marketing is not about grabbing attention and hard sales. It is about permission marketing. It is about being found when people are looking for you. It is about providing good information and building relationships that help your prospective client solve a problem. When you are using a social media platform like Facebook, think about your connections. Think about how you can help them. Take the time to get to know them. Take the time to build relationships. It can pay off, if you do it right. You can never get closer to your goal if you don’t start. 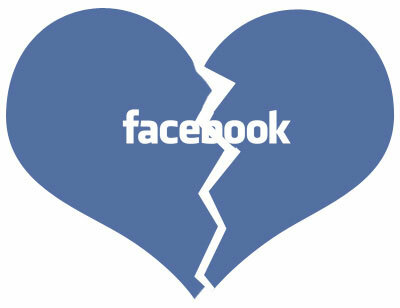 How are you building relationships on Facebook? What problem do you solve and what value do you offer? Would love to hear your thoughts.